Querx is a family of smart Ethernet sensors, which acquire, record and monitor environmental parameters. The stand-alone units a suitable for usage in numerous fields of applications, including rack monitoring, industry, food hygiene, laboratory, pharmacy, archive and real estate. The Querx TH models monitor temperature and humidity and calculate the current dew-point. The Querx PT models measure temperature over any Pt100 or Pt1000 probes. 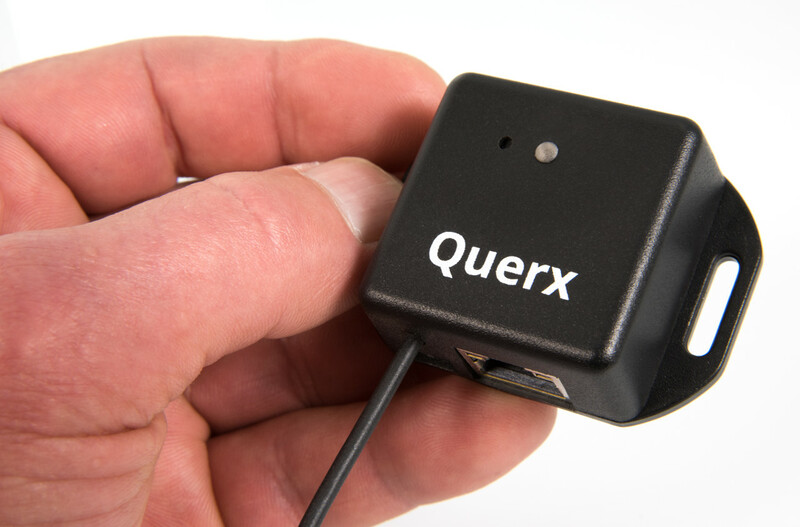 You can connect Querx to your network over a RJ45 Ethernet jack. The WLAN models additionally support wireless networking. If configurable thresholds are exceeded or if critical variations are detected, the devices can send alert notifications over encrypted emails, SNMP trap and syslog. The data memory stores minimum, maximum and average values, which have occurred at configurable intervals. Data can be exported manually over the web interface or automatically requested over the HTTP interface. Furthermore it is possible to send values to the IoT cloud services ThingSpeak and Xively. Zeroconf, mDNS and DHCP offer a convenient way to put Querx into operation. After you have connected the device to your network, its web interface can immediately be accessed over the device name. The Codespot product family offers audio players, which can be controlled by external signals, e.g. from motion detectors, light barriers, push buttons or RS232. Codespot Pro addresses a creative audience, who would like to create impressive media sequences. The convenient software requires no programming knowledge. Codespot Dev is a DSP development system for technically experienced users. The devices are based on the digital signal processor VS1063 of VSLI solutions. This DSP plays a wide range of audio file formats, including MP3, OGG Vorbis and FLAC, with brilliant playback quality. It is also suitable for the implementation of high-end audio applications. 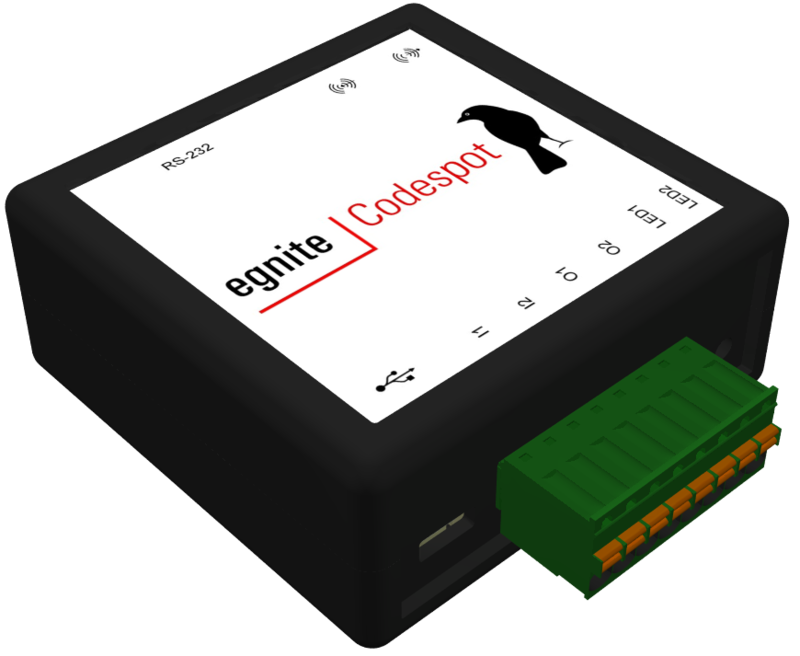 Codespots are equipped with digital in- and outputs, a 4 GB microSD card and a serial RS232 port. They can be employed in a multitude of applications like playback, recording and real-time processing of audio data. 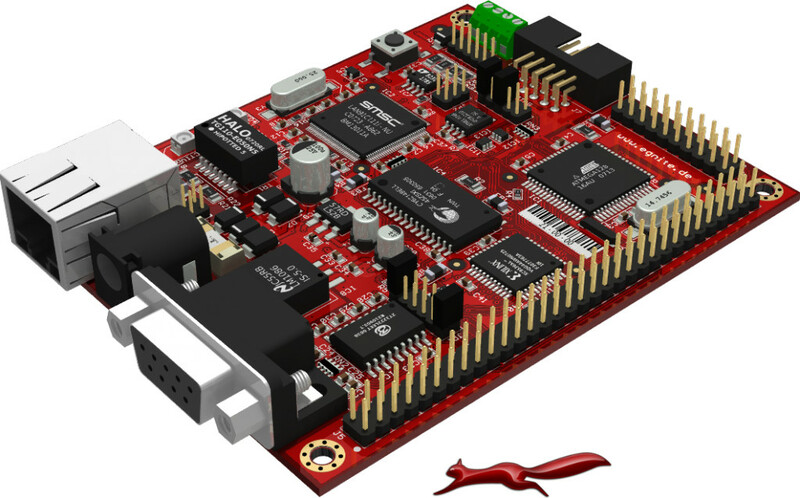 The universally usable embedded Ethernet boards are based upon 8-bit AVR or respectively 32- bit ARM microcontrollers. They share the following common features: minimal power consumption, a uniform form factor and simple expandability with a variety of different hardware. 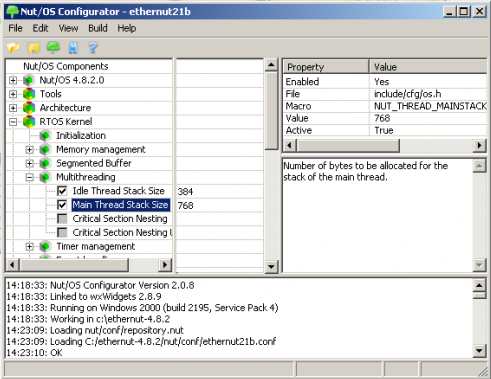 Nut/OS is a BSD licensed real-time operating system for networking enabled embedded systems. Equipped with a POSIX-oriented C library and a free TCP/IP stack, Nut/OS helps you to develop concurrent applications with networking support. A dedicated community offers commercial support and vivid discussions on the mailing lists.